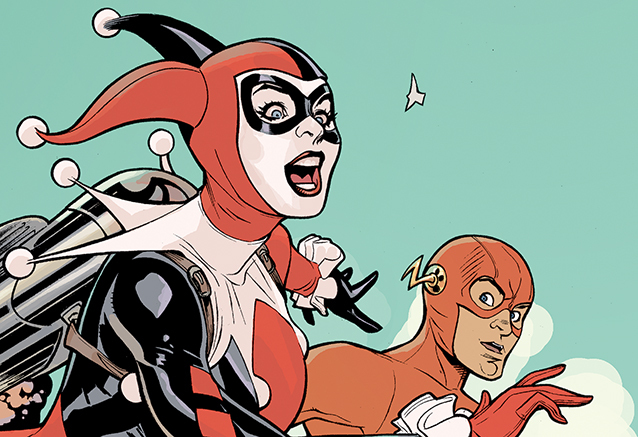 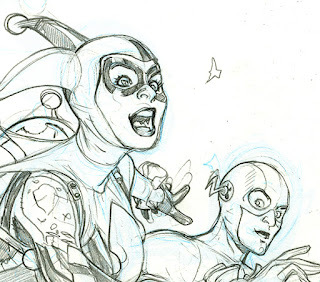 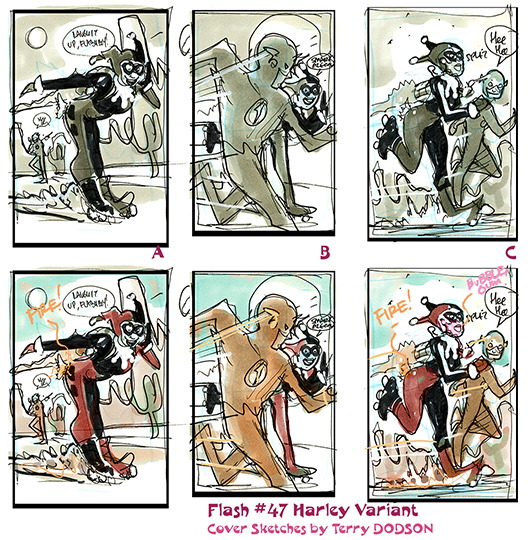 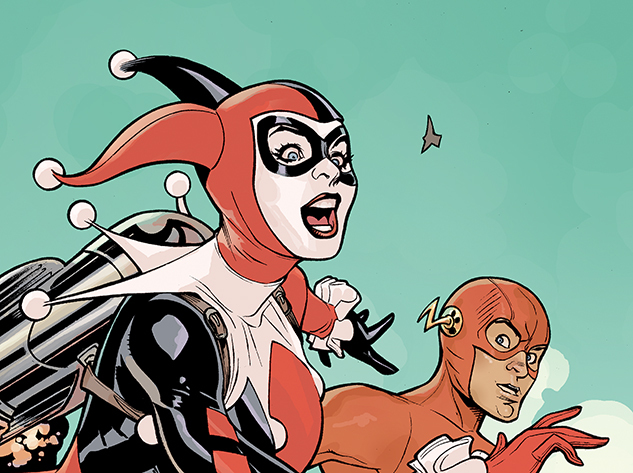 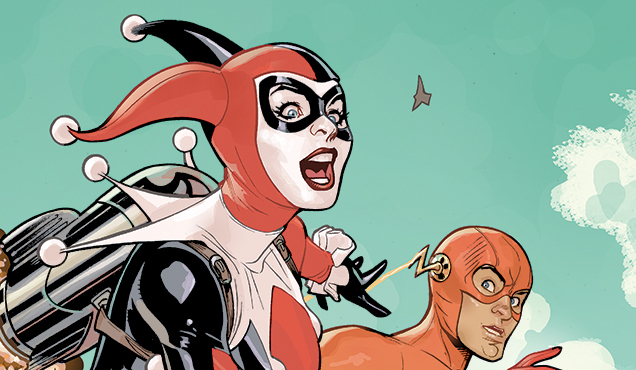 Here's the second part of a look at how we created the Flash #47 Harley Quinn Variant Cover - out now from DC Comics. 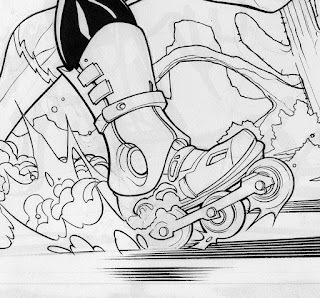 Generally, I hire someone to do this for me - a "flatter". On the left are the flats directly from my flatter and on the right is my version - optimized for how I color. 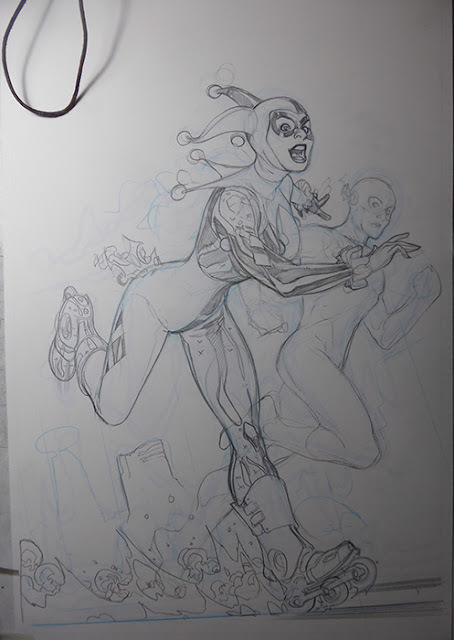 At this stage I go and adjust the colors to their medium value or imprimatura - I use this as the starting point for the piece. - the first part of coloring. I colored this on my Cintiq 13 HD using Photoshop CS3 after I scanned the original line art. 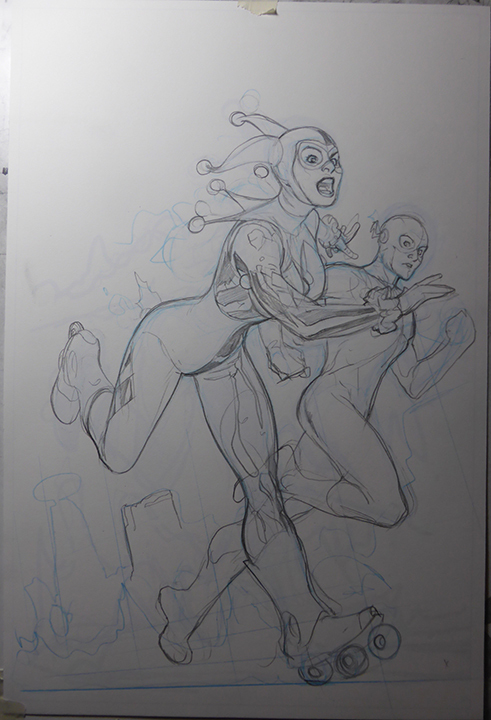 Refine and adding lights and darks - the work in progress version of the cover I sent in to make sure we were all on the same page. 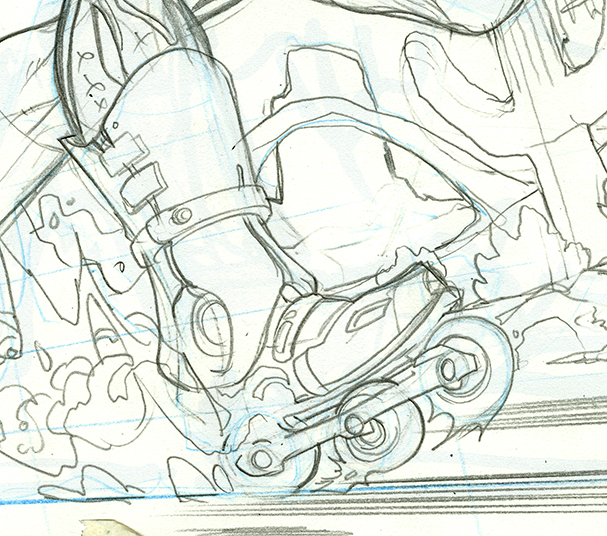 Begin turning linear to colors and then making sure that fire looked HOT! Worked on the background more and pushed shadows more. 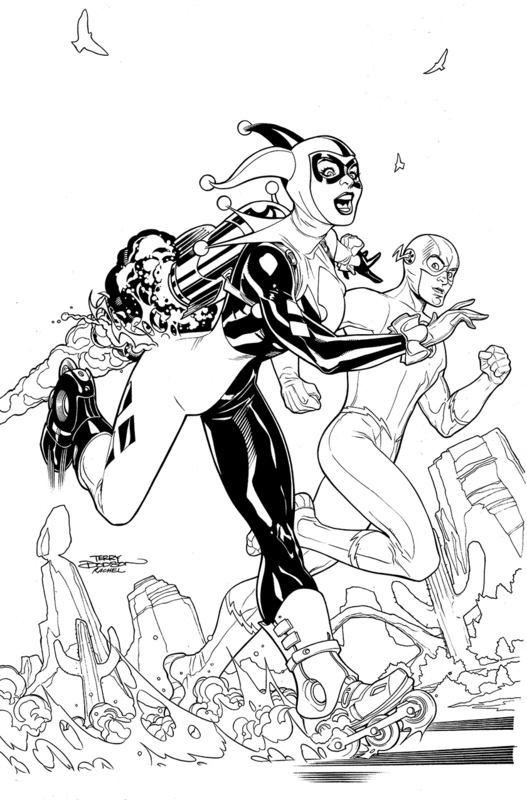 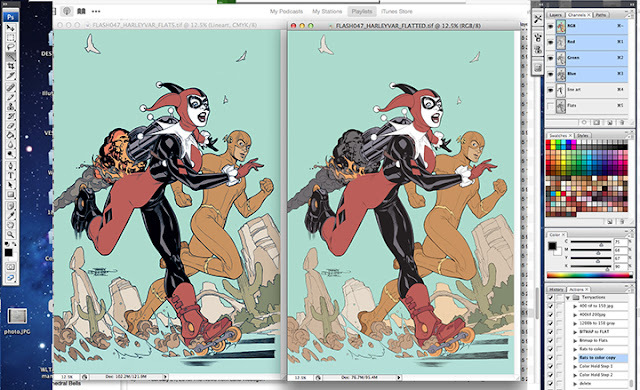 How we made the Harley Variant cover. We had a blast making this cover and I think it shows up in the final cover! 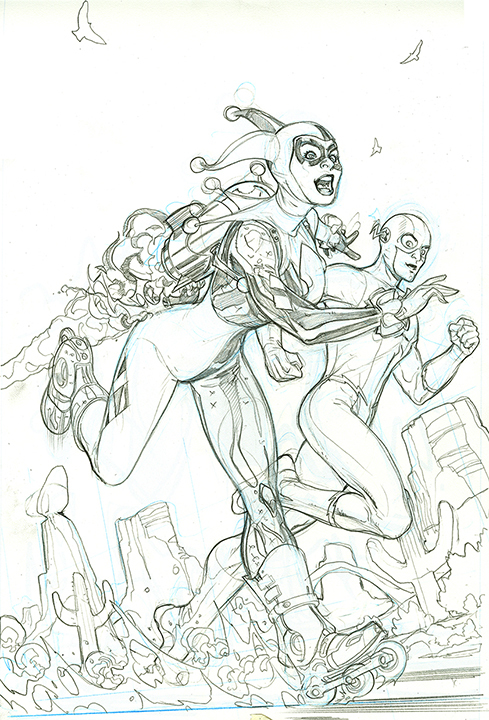 So the first thing to do is come up with a cover sketch. 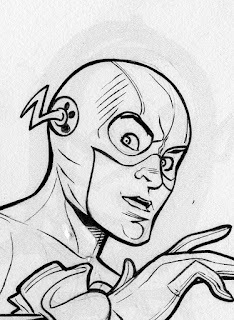 It needs to be approved by DC Comics before I can start drawing the cover. 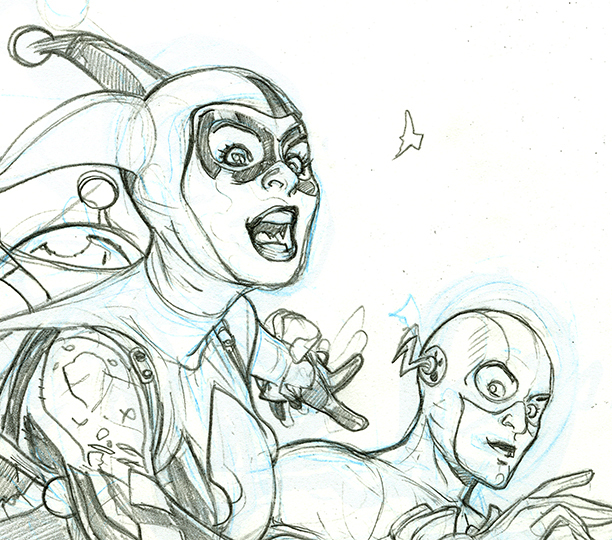 Wasn't 100% sure what to do for this cover as I could do anything - too many choices! 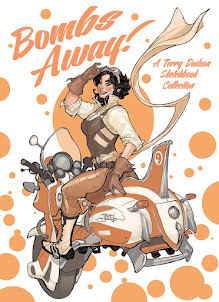 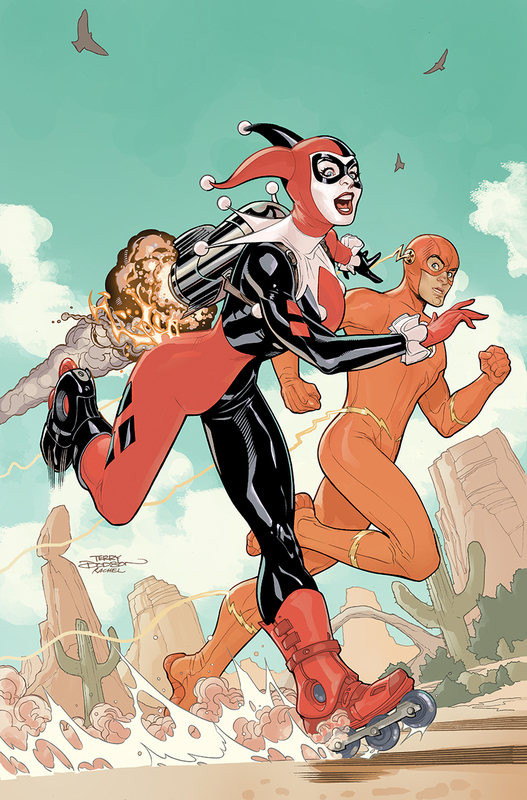 So I asked my editor, Eddy Choi, if he had any ideas and he mentioned Harley and Flash racing in the desert like Wiley E. Coyote and the Roadrunner! Bingo! 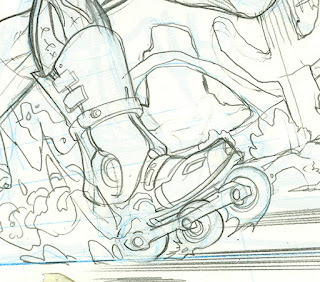 Sent initial sketch to Eddy and sketch "C". 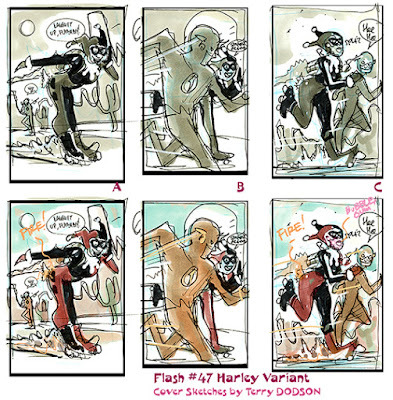 The sketches are drawn at 2x3 inches in my sketchbook in pencil and pen and then cleaned up and colored in Photoshop. 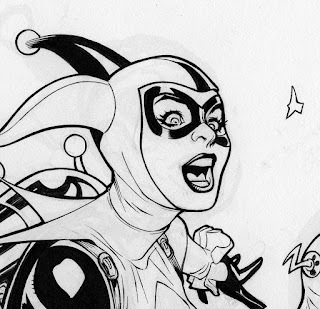 Rachel Dodson's inks over my pencils with a Windsor Newton Series 7 Kolinsky Sable #2 Brush and Higgins Black Magic Ink to ink the covers with. 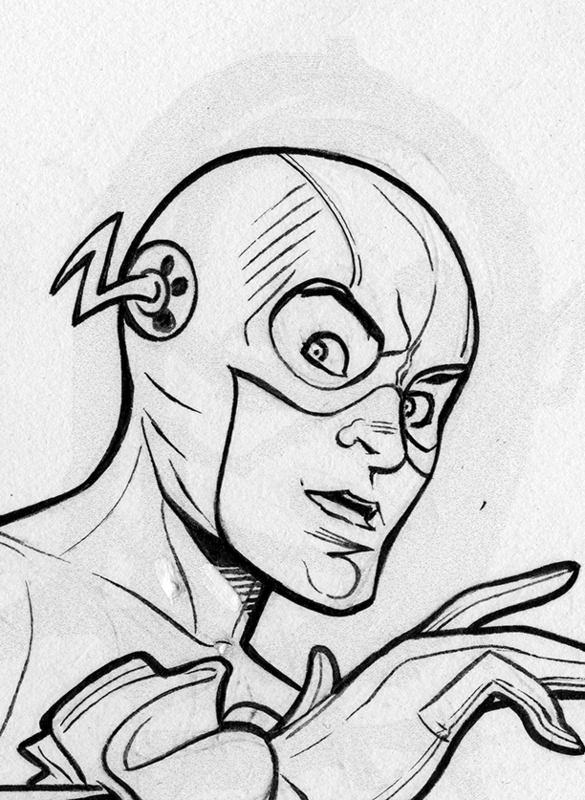 And then I scan and clean in Photoshop.